When you’re interested in moving to a new job or if you find yourself out of work, where can you find packing jobs? Whether you have forklift truck experience or if you’re looking for warehouse operative positions, the best place to check for this sort of work is the internet. But which sites are worth your time and which sites waste your time? You should make sure to check out reed.co.uk no matter what job you’re looking for in the UK as they’re the nation’s number 1 job site. They always list warehouse jobs up and down the nation that you can filter by salary and job type (temporary, permanent or part time). You can apply through the site or store the details of a job for later. The other site that has to be used is jobsite.co.uk. Again a keyword search puts you in touch with a list of the available packing jobs in your area. Make sure you spend a good amount of time on the main sites we’ve recommended so you get the most out of them. Use the filters to refine the job search and make sure you apply for some jobs. When you have exhausted those sites, check out a website like adzuna.co.uk. With adzuna.co.uk, you get access to a collection of jobs that employers have advertised online. The site is a metasearch engine that collates all of the relevant job adverts in one handy website. This is an ideal way of collecting up all the other jobs that aren’t advertised through the major recruitment sites. When you check for jobs with online recruitment sites like reed.co.uk or jobsite.co.uk, you should check under several different job titles. A search for “packing jobs” might not bring up “warehouse operative” roles or jobs that involve forklift truck driving, so make sure you check all the relevant boxes on the employment site’s form. If part of your job searching includes a Google search, you’ll need to use all of the appropriate terms to make sure you see the adverts for all the relevant jobs. Are you a forklift driver and want forklift jobs in London? What kinds of warehouse vacancies can you expect to find? 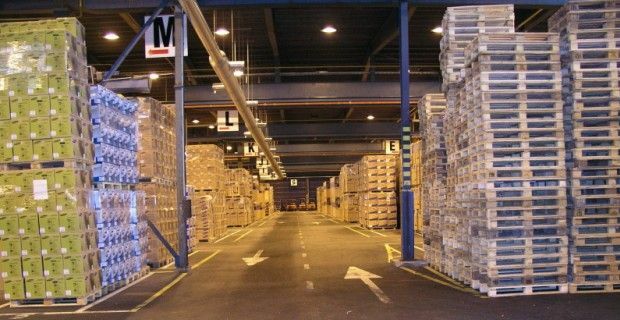 Where are the best warehouse jobs in Nottingham?